The image also revealed some information about the pre-buying bonuses. 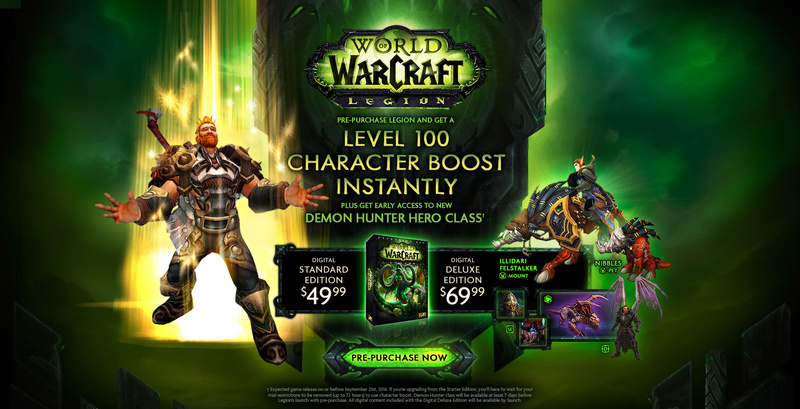 It includes an early access to the new Demon Hunter hero class and Level 100 character boost. Standard Edition will cost $49.99 and Digital Deluxe edition will cost $69.99. The Digital Deluxe edition will include a pet, in-game mount and digital content for StarCraft 2 and Diablo 3. The first announcement of the newest World of Warcraft game expansion – Legion – was made at Gamescom in August this year. 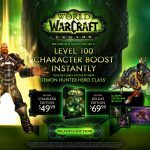 World of Warcraft Legion expansion will raise the level limit to 110 and will have a completely new class – Demon Hunter. It will also have a new continent, Broken Isles, new customizable artifact weapons, new raids and dungeons. The Legion installment will also renew the player-versus-player progression system. The beta version of the newest World of Warcraft expansion Legion will start this year. Players can also sign up to compete on the Battle.net website. Curious about what new features you will find in Legion? Check out this coverage!